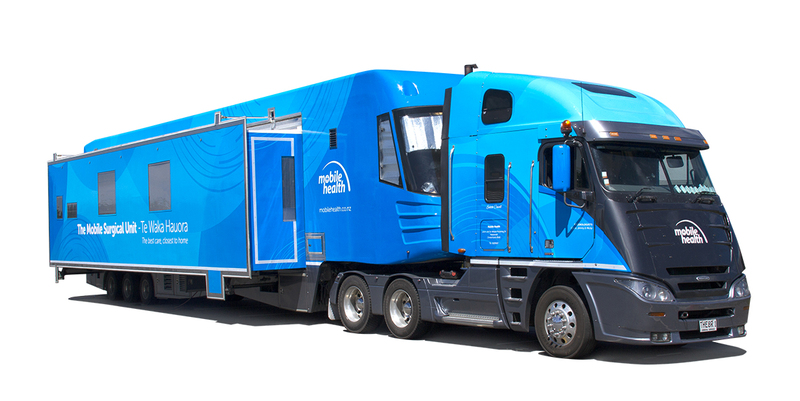 Mobile Health is a privately owned company that works in partnership with the Ministry of Health and District Health Boards. Delivering low-risk elective day surgery to rural New Zealanders and continuing education to rural health professionals. The Surgical 42-tonne truck unit travels on a five-week loop of the country. Stopping off for the day at 24 regular sites. The service has been operating since February 2002 and since then they have treated over 25,000 patients and provided over 50,000 hours of education. Mobile Health has been a client of Clockwise for over ten years. In 2008 I was bought on board to create a more modernised brand solution and continued, through the years to create various promotional and presentation design assets. In 2016 the company underwent another brand refresh, this time a brighter, fresher look was developed further to keep the brand modern and engaging. Below is a little look at how the Mobile Health brand has evolved over the years. For this case study I will focus on some key areas that have been developed with the latest brand refresh that’s been evolving in recent months. After the modernisation of the logo design in 2016, some extended branding was then designed to support and enhance the logo. This can then carry over to various mediums to keep the brand consistent and cohesive. Building on the traditional blue colours of the health sector, a new fresher, the brighter palette was established. Subtle circular design backgrounds and panels were designed to suggest the feeling of movement, travel and the Mobile Health bus circuit. Carefully chosen supporting fonts then followed. Slightly rounded sans serif fonts, modern, friendlier and less formal and clinical than the fonts used previously, helping appear more ‘approachable’ to the public. 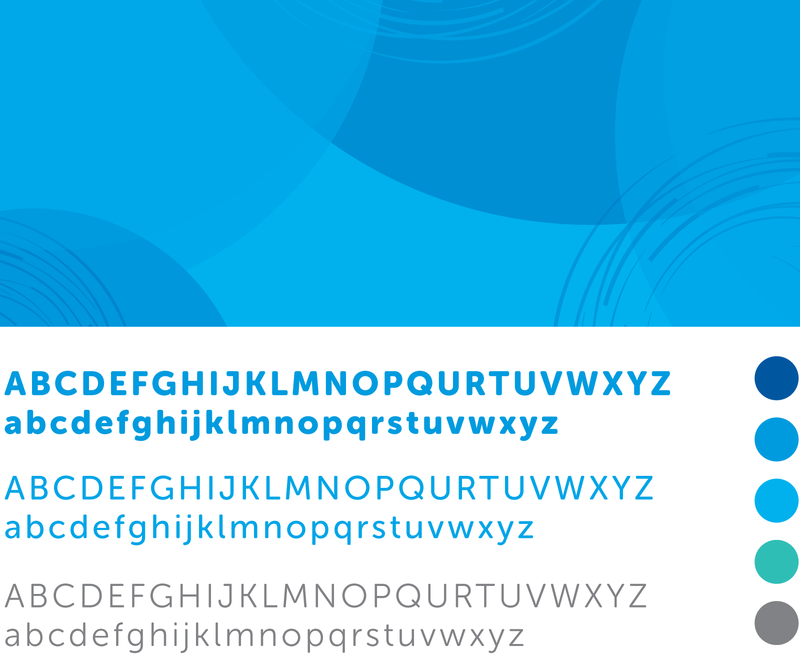 Naturally, the first progression from the logo and extended branding design is then some new business stationery design. Primarily with print work we use the Mobile Health logo reversed out against the coloured background. Wherever possible the logo arch point is positioned right on the intersection of the circular shapes. The design needs to be versatile enough to work on very small scale designs like business cards, right through to very large scale designs like trade show display stands. Mobile Health takes part in various conferences and shows around the country. They have a wide range of these portable fabric stands they can configure as needed for various branded backdrops. Above: Large portable display stands designed for easily transporting and setting up for conferences, exhibitions and trade shows. Often a new brand design can be slowly phased in, replacing old assets with the new design when needed. With the main surgical truck unit, the original paintwork was getting tired and had served it purpose well over 13 years or so. It was important to re-dress the truck with new branding as quickly as possible. The bus runs on a very tight schedule, so a very small opening during the Christmas break in 2017, meant it was all guns blazing. The new design was approved and the signwriter only had a matter of days to accomplish the feat of applying the new design to the truck. Above: The final bus signage application complete, and back on the road servicing New Zealand in early January. 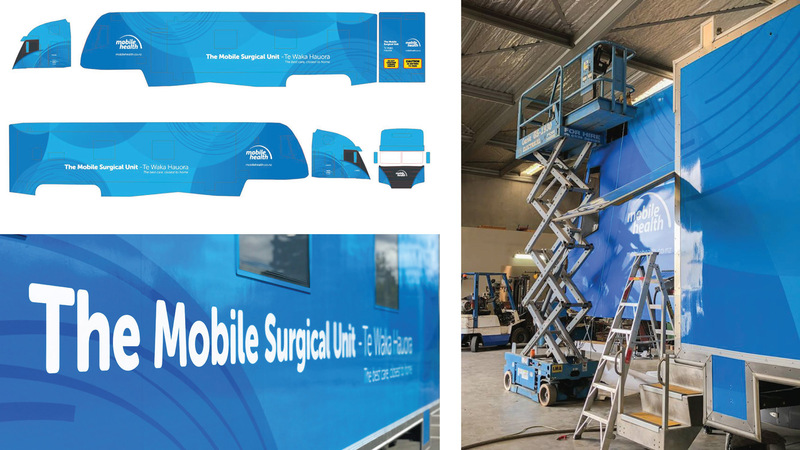 Soon after the new surgical unit was re-branded, Mobile Health launched into a refresh of the patient information packages that are given to patients awaiting treatment. These folders and information sheets needed careful planning and attention to detail. Patients are given very specific sets of instructions and rules pre-operation. Whilst the information provided is very important, we didn’t want it to seem too intimidating and overly clinical. Use of imagery and layout makes the information easy to follow and well organised, making patients trip to the ‘bus’ as relaxed as possible. 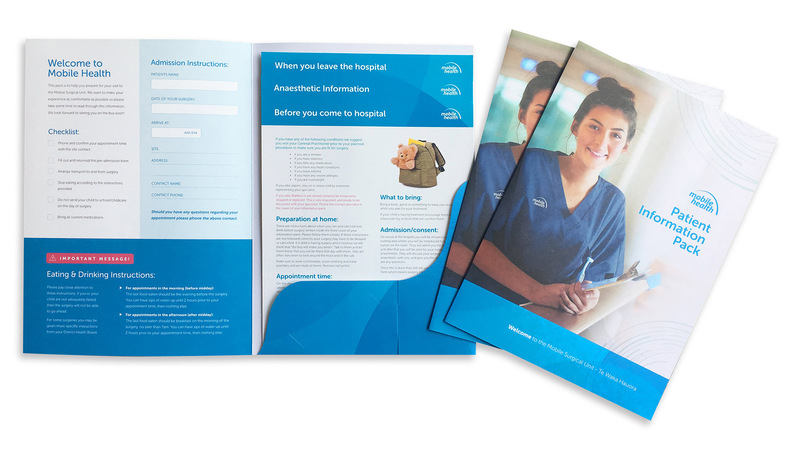 Above: The newly designed patient information pack. Work is soon to begin on the new Mobile Health Website, look forward to sharing it’s process with you when it’s up and running.